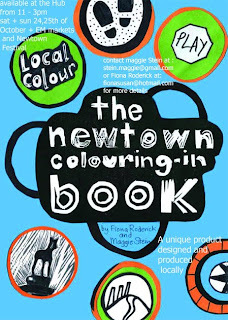 2042: art on the street is happy to announce that 'Local Colour; the Newtown Colouring-in Book' by Newtown artists, Maggie Stein and Fiona Redevick, will be on sale at our information booth so don't forgot to check it out when you come to contribute to 2042: art on the street. 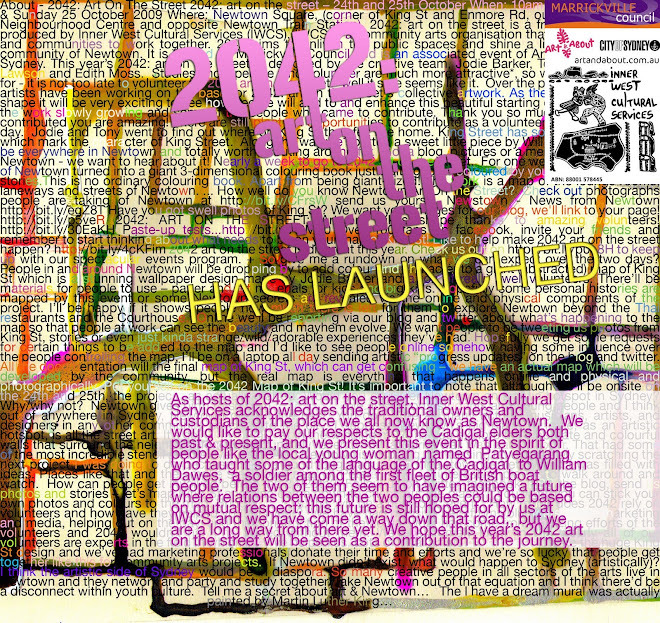 The book is an independent project by Stein and Redevick; a happy coincidence with 2042: art on the street, and a great publication that we would like to support. We are constantly impressed by Newtown's local talent and can't wait to see it in full swing this weekend, 24-25 October 2009.